Summer is quickly approaching and we want you to stay cool with some great thirst-quenching cocktails. South Louisiana summer certainly beckons ice-cold drinks. Keep it simple, keep it fresh, and try one of these refreshing drinks! The Aperol Spritz is an Italian fave. Drawing on our Italian roots, imagine zipping through Italian towns on a Vespa, then cocktailing alfresco at an exquisite trattoria… we’ve brought the tastes of an Italian aperitivo to you! 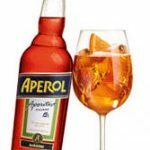 Low alcohol cocktails are perfect for day drinking, but it’s Aperol’s zesty orange notes with complex herbal scents mingled with a hint of vanilla that make Aperol thrist-quenching. Its electric orange vibrance will have everyone’s heads turning! Fill your wine glass with ice, add Prosecco (Acquistapace’s recommends Savino) and Aperol in equal amounts. Add a splash of soda water and garnish with a large orange wedge. Enjoy! Vinho Verde is a Portuguese wine usually possessing a slight effervescence with each sip dancing on your tongue. Crisp, light and generally lower in alcohol content, Vinho Verde is a very affordable summer quaff. This wine is meant to be drunk young, so finish your stash of Vinho Verde this summer! 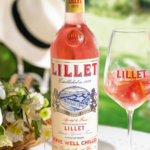 Lillet Rosé is a fortified French aperitif made of a blend of Sauvignon Blanc and Muscatel with the aromas of flowers and ripe, juicy berries. Perfect for summer drinking, the Lillet Rosé Cocktail, made with equal parts Lillet Rosé and grapefruit juice served in a tall glass on the rocks. Or better yet, grab San Pellegrino’s Pomplemo, a grapefruit soda. If you need an extra kick, a shot of London Dry Gin will turn up this drink! Originating from Germany, this half beer, half soda cocktail is a low alcohol tasty treat. 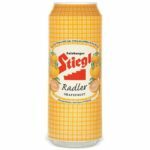 Our most popular is Steigl – a lager and grapefruit soda combo available in cans or bottles. On the domestic side, try Leinenkugel’s Lemon Summer Shandy and Grapefruit Shandy or Shiner Ruby Redbird – ruby red grapefruit with a ginger kick. Karbach Lemon Ginger Radler is another fantastic, easy drinking radler out of Texas. seduces you with exoticness but remains approachable and very drinkable. Born in Cuba, the mojito is a drink that takes a little tasting to get it to your specs. 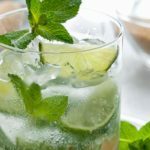 Muddle a handful of fresh mint leaves with lime wedges in the bottom of a tall glass. Pour in 1.5 oz (a shot) of white rum – we recommend Bóqueron – and a half ounce of simple syrup. Add ice to fill and top with club soda. Throw in a straw and get busy on that mojito! Maybe you’ll even be inspired to mambo drink in hand. It’s like summertime in a glass! A grown-up lemonade, the Tom Collins is amazing when made correctly, and when you’ve had one, it will be your go-to summertime quaff. Squeeze a half of a lemon into a Collins glass (or any tall glass), add equal amounts of simple syrup, 1.5 – 2 ounces of gin and top with club soda. 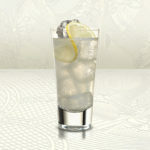 Acquistapace’s recommends Bombay Sapphire for its complementary bright lemony notes. 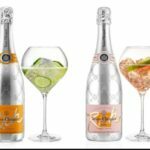 A relative newcomer on the drink scene, Ice Champagne is meant to be drunk over ice on a scorching hot day. Grab a wine glass (not Champagne flute), throw in 3 ice cubes, and fill with your favorite Ice Champagne such as Mӧet & Chandon Ice Imperial. Go ahead and toss in some garnishes like mint, lemon wheel, orange slice, or raspberries. Even brewed black tea, this Champagne is built for cocktailing. These flavors will make for an aromatic masterpiece.